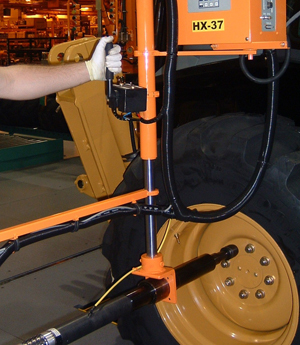 AAT Speed Shift™ tools are used to replace impact guns resulting in low cycle time, increased accuracy (from +/-30% with Impact Guns down to +/- 5% with American Assembly Tools), reduced worker fatigue and injury, and reduced maintenance expense . 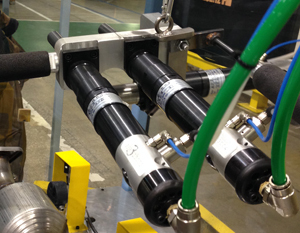 AAT tools with Offset heads and PAC™, Pressure Activated Cylinders, were installed in an automated manufacturing cell to reduce cycle time, achieve required torque accuracy, and perform the operation thousands of cycles per day. 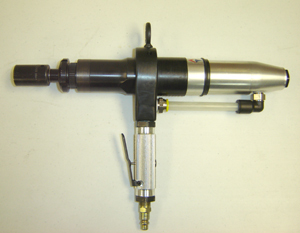 AAT high torque tools are used to operate valves in demanding environments without backup tools.